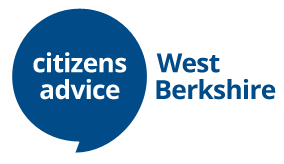 Citizens Advice West Berkshire is a local independent charity, we are not part of government. Each year we have to raise in excess of £250,000 to keep our operations going and help people within West Berkshire. National government do not fund us, we do get funds from local councils, but they are being squeezed and having to choose between funding us or providing direct services to local people, so we have to raise more funds from other sources. We’ve cut our costs where we can, including reducing the size of our offices and we’re trying not to let our services to local people be affected too much. But we desperately need to keep raising funds. 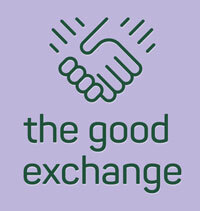 When you donate to one of our campaigns at The Good Exchange your donation will be matched by the Greenham Common Trust, effectively doubling your donation. Plus you can claim gift-aid if you are a taxpayer, adding another 25% to your donation. Please make us your Amazon Smile Charity - Amazon donate 0.5% of the net purchase price of eligible purchases at no cost to us or you. To support us you will need to start your shopping each time at smile.amazon.co.uk; remember to bookmark this page for future reference. Coming soon...you can donate by Paypal, they cover all fees and if you are a UK taxpayer you can claim Gift-Aid and the tax-man will add 25% to your donation. Please download our Regular Standing Order form, complete and return it to us. 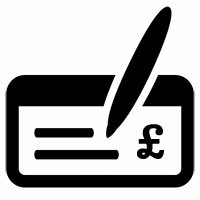 Please make payable to Citizens Advice West Berkshire. If you mark it for the attention of our CEO, she will be delighted to deal with it and write to thank you. Please drop it into the donations box in our office (address above). Please don’t send cash by post. Organise your own fundraising event or activity for us If you’d like to raise money for us, get in touch we’d be delighted to hear from you. Please ring 01635 516605 for more information. A Legacy In Your Will If you’d like to leave us a gift in your will, click here to learn more. Just go to easyfundraising.org.uk, join, and then shop with your favourite shops and they make donations to us (search for West Berkshire Citizens Advice Bureau). 21,600 highly trained volunteers support the delivery of our work. Our volunteers come from all sorts of backgrounds and help with everything we do. Could you join them? Registered Office: 2nd Floor, Broadway House, 4-8 The Broadway, Northbrook Street, Newbury. RG14 1BA. Authorised and regulated by the Financial Conduct Authority FRN: 617791. Copyright © 2019 Citizens Advice West Berkshire All rights reserved.